The University of Bergen, the highest ranking University in Norway, is carrying out tests to survey the mercury exposure levels in dental offices in Tanzania, where amalgam fillings are still used in dentistry. The University is carrying out sampling in dental offices in Dar es Salaam, the largest city in Tanzania. Formerly Mzizima, which, in Swahili, means “healthy town”, Dar es Salaam is the country’s richest city and a regionally important economic centre. 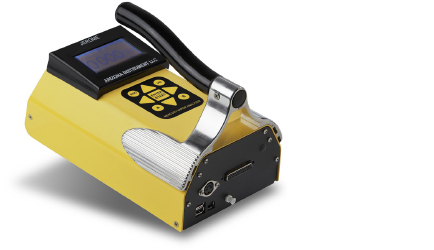 Professor Bente Elisabeth Moen from Bergen University approached ABLE for their Jerome J405 Portable Mercury Vapour Analyser, to carry out the surveys. 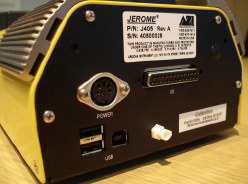 The Jerome 405’s gold film sensor is highly specific for mercury, eliminating interferences common to ultraviolet analysers such as water vapour & hydrocarbons. The aim of the surveys is to reduce the levels of mercury exposure, initially by educating the dental staff about the importance of good ventilation, through opening windows, and by utilising fans during work with amalgams. The survey is also essential for future work to eradicate the use of mercury altogether in dental offices in the third world. The J405 has a detection range of 0.5 – 999μg/m3 with an accuracy of +/-10% at 1μg/m3. Its response time is 12 seconds in sample mode and 2 seconds in survey mode. Its lightweight design (2.5kg) facilitates portability. Professor Moen confirmed that they had considered monitoring urine samples; however, this presented practical problems. The University knew of another company in Norway already utilising the Jerome analyser for mercury monitoring and, due to its ease of use, felt the Jerome Analyser was the best method available.